Terrorists learn vicariously. Their operatives feed on the experience of other radicals, finding examples of successful practices and warnings about mistakes they should avoid. That the inspiration comes from other groups that they classify as enemies does not generate too many contradictions. For example, after the attacks of September 11, 2001, a constellation of radicals, from left to right, showed admiration for the audacity with which Osama Bin Laden had humiliated the American power. One of the aspects that generates the most fascination among the violent is, precisely, the ability of some actors to break the media siege to which they consider themselves subject. Terrorists are convinced of the innate truth of their ideas, as well as of their transforming capacity. According to them, the only obstacle that prevents the population from adopting their approaches in a generalized manner is the effort made by their enemies to keep the people in a state of ignorance and manipulation. Violence, conveniently dramatized, is the key that gives access to public opinion. And in this area, there is much to learn from other groups that have managed to make everyone aware of their ideas and objectives. Terrorist violence inspired by extreme right-wing ideologies has historically shown a weak organizational structure, something that has prevented its militants from adopting some of the successful examples set by the jihadists, the extreme left, and ethno-separatist terrorists. While these latter groups have enjoyed complex organisations that allowed different people to be assigned the functions of planning, executing an attack, and propagandistic exploitation, the fragmented nature of extreme right-wing extremism has meant individual attackers often have to assume all these roles alone. This has placed a considerable limitations on them. This was the case, for example, of the Norwegian terrorist Anders Breivik, who meticulously designed a chain of attacks in July 2011. After setting off a car bomb against government facilities in Oslo, he took advantage of the confusion to disembark with an arsenal of weapons on the small island of Utøya. There, he would end the lives of 69 teenagers attending a summer camp organized by a left-wing political party. The purpose of these attacks was to draw attention to a very long manifesto that he had written under the title “2083: A European Declaration of Independence,” in which he pointed to Islam and “cultural Marxism” as the main enemies of Western civilization. However, Breivik was very careful not to make the text known on the Internet until a few hours before his attacks began. Without an organisation to back him up, he himself had to assume responsibility for the propagandistic exploitation of his actions, which meant that he could not do it too far in advance of the attack (something that could alert the authorities), nor could he do it after the attack (when he would foreseeably be dead or without the possibility of accessing the Internet). It is likely that the perpetrators of the shocking attacks on the worshippers at two mosques in Christchurch, New Zealand, were not exclusively inspired by the actions of this Norwegian terrorist. There are other precedents, beyond the extreme-right, from which they were able to find tactical lessons on how to manage their crimes. The first terrorist to use a GoPro camera to document his murders was a French jihadist, Mohammed Merah, who took video from his motorcycle while shooting Jewish soldiers and children in the town of Toulouse in 2012. At that time, though, there was no capacity to broadcast live video over the Internet, so Merah made the questionable decision to release his recording by sending it on a USB stick to Al-Jazeera television network. The Arab broadcaster showed good judgement and decided not to broadcast even stills of this atrocity video. As a result, the crimes of this terrorist of Algerian origin received significantly less media coverage than he would have obtained with the public dissemination of the images. The first terrorist who used Facebook Live to broadcast a real-time attack was also a jihadist. Larossi Abballa murdered a couple of French policemen in 2016 as they arrived at their home in Magnanville. After stabbing the couple, in front of their horrified 3-year-old son, he began to broadcast on his mobile phone a long plea, in which he encouraged other supporters of the Islamic State to follow his example. However, this is also a blurred example of success, since, although the streaming broadcast guaranteed that his message would not be silenced, the video started after the murders, and although it was filmed inside the victims’ home, it only shows the face of the terrorist. This made it different from other “conventional” jihadist testimonies, and therefore, it had less media “appeal”. 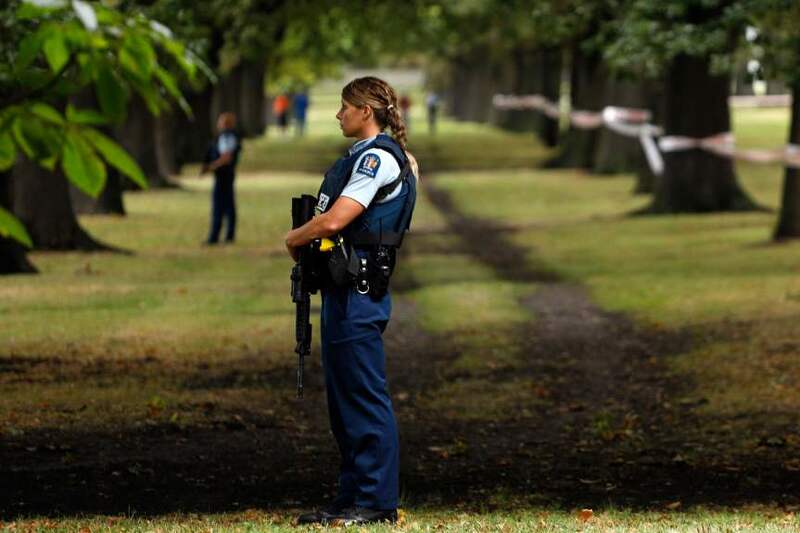 The way in which the Christchurch massacre was carried out is a fusion of the lessons drawn from all these precedents, trying to combine the aspects that facilitate greater media coverage. To obtaining images in first person and their instantaneous diffusion, the terrorist added a novelty: the transformation of the weapons used in the attack into propaganda instruments in themselves. Both the rifles and the loaders were painted with multiple codes and symbols typical of the subculture of white supremacism and the neo-Nazi movement. The weapons left behind by the terrorist would necessarily become evidence of a judicial and police investigation, and it would be inevitable that the media would echo the complex supremacist symbology and its meaning. In conclusion, fanatics have never stopped experimenting with the new possibilities offered by technology. Unfortunately, we will continue to witness the terrible fruits of this process of imitation and innovation going forward.